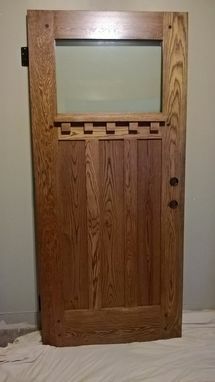 Craftsman entry door with dentil shelf. Dimensions: 80" x 36", 16" window, and 6" panels. Door size can be customized.